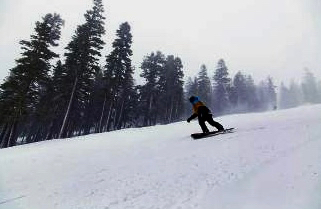 A snowboarder rides at Northstar California, which is owned and operated by Vail Resorts. 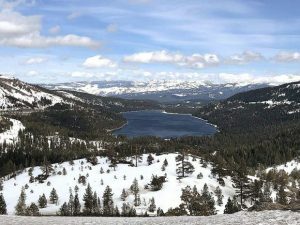 Vail Resorts, which owns and operates Northstar California in Truckee, announced on Tuesday, July 25, that the company will pursue a comprehensive sustainability commitment, called “Epic Promise for a Zero Footprint.” The project, announced to employees at a company-wide event, commits to zero net emissions by 2030, zero waste to landfill by 2030 and zero net operating impact to forests and habitat. “Everything we do at Vail Resorts is driven by the spectacular natural surroundings where our employees, guests and communities live, work and play. The environment is our business, and we have a special obligation to protect it,” said Rob Katz, chairman and chief executive officer of Vail Resorts. Inspired by Whistler Blackcomb’s environmental commitment, “Epic Promise for a Zero Footprint” comprises three elements: emissions, waste, and forests and habitats, with an approach to each that was developed in consultation with leading sustainability experts in the industry. • Reducing the company’s electricity and natural gas use by another 15 percent — in addition to the 19 percent already achieved — by improving operating practices and investing $25 million in energy-saving projects including low-energy snowmaking equipment, green building design and construction, and more efficient grooming practices and equipment. • Purchasing 100 percent renewable energy equivalent to Vail Resorts’ total electrical energy use and working with utilities and local, regional and national governments to bring more renewable energy to the grids where the company operates its resorts. • Investing in programs including tree planting to offset the use of other types of energy (gasoline and diesel fuel). • Engaging with the company’s vendors and suppliers to identify and collaborate on opportunities for them to reduce their emissions and environmental impact. • Providing resort guests with information and opportunities for them to reduce or offset their carbon footprint. • Sharing the company’s progress in achieving its “Epic Promise for a Zero Footprint” goals in an annual sustainability report following the fiscal year ending July 2018, which will follow the Global Reporting Initiative’s standard. • Vail Resorts intends to achieve a 50 percent reduction in its net emissions by 2025, based on 2016 levels. • Improving its recycling and composting program. • Engaging with vendors to reduce packaging and to source recyclable and compostable products. • Working with local resort communities to increase options for reuse and diversion. • Increasing awareness and engagement with employees and guests through signage, labeling and training. 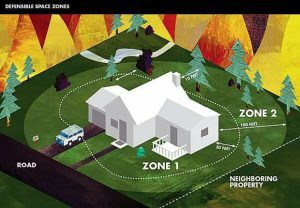 • Zero net operating impact to forests and wildlife habitat. • Minimizing or eliminating the impact of any future resort development. • Planting or restoring an acre of forest for every acre of forest displaced by the company’s operations, with the goal of achieving improved species and age diversity, resulting in healthier, more resilient forests. 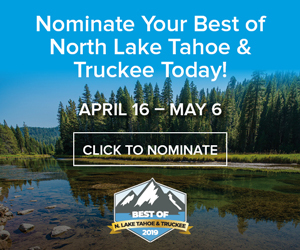 • Continuing and expanding Vail Resorts’ existing commitments to partner with and fund local organizations focused on the health of forests, habitat and wildlife. In 2016, for example, the company contributed more than $1 million to 50 environmental stewardship projects through direct grants, the Company’s $1 guest donation initiative, and the “1% for the Forest” commitment, made in partnership with the National Forest Foundation and The Nature Conservancy. Vail Resorts’ “Epic Promise for a Zero Footprint” will enable resort guests and its more than 30,000 employees the opportunity to enjoy the natural environment and resources without leaving an impact. For more information about Vail Resorts’ “Epic Promise for a Zero Footprint”, go to http://www.epicpromise.com/zerofootprint.